Maximize Your Farming with Video Farming Funnel! The pre-designed postcard and/or door hanger will stand out from the crowd and has a specific call-to-action (CTA) to visit your website to watch the video. 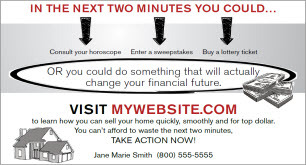 The curious homeowner follows the call-to-action (CTA) and goes to your Smart Site website. The video starts automatically. The animated video captures their attention visually and emotionally by touching on the benefits they'll receive if they enter their contact information. Everything all setup for you on your website! Specifically designed to help you get more listings. Differentiate yourself - nobody is doing this type of farming (yet:). Automated lead capture system to help you get better results from your farming efforts. Combines online and offline marketing efforts by utilizing your website with your farming. Powerfully demonstrates to seller prospects your usage of the latest in direct, internet, video & email marketing! Can be used on other websites and/or landing pages for other seller oriented marketing campaigns. Farming door hangers and postcards are pre-designed - you just need to pay for the printing. There is no extra cost for Video Farming Funnel, it's included in the Smart Sites Platinum package. I still don't understand what this is? Simply put, the Video Farming Funnel consists of a animated video, a pre-listing presentation that will be branded with your contact information, a lead capture web form and an email auto-responder. 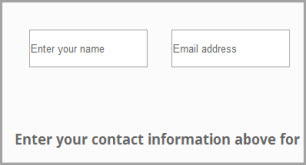 When someone enters their contact information into the lead capture web form they will be able to access your pre-listing presentation and an email will be sent to them automatically - the email will have your contact information in it and it will ask them when they would like to schedule an actual listing appointment with you. We will also send you (the agent) a separate notification email, containing the lead information, everytime a new lead is generated. Do I have to use your farming material (door hanger / postcard)? Of course not, please use any farming material you wish. Ours are designed specifically for this purpose though, with images and call-to-actions that coincide with the video. Do the farming materials (door hanger / postcard) cost extra? Yes, you are responsible for the cost of printing. There will be no additional design costs as One Step Marketing has already created the designs in support of this program. If you require a customized version of the door hanger or postcard then please work directly with One Step Marketing for a quote as additional costs may apply. How do I order the door hanger and/or postcard? Click here to order directly from the One Step Marketing website, or call them directly for more information at (888) 587-5301. How is this going to help me get better results from my farming efforts? Most agents use the traditional "lay and pray" method. They lay farming materials out into their farm and pray they get a call. And the materials they use are pretty much all the same...."See what recently sold" or "We're the best", etc. We feel there's room to improve this process so we created a new method that starts with a uniquely designed farming postcard and door hanger with a specific call to action to go to your website to watch a video which then gives you an opportunity to generate a new listing lead. If you're actively door knocking you know that most people don't answer - Video Farming Funnel gives you a way to connect with those people. Who do I call if I have questions about my ad / campaign? The video, your branded pre-listing presentation, the lead capture web form with email auto-responder will be setup at the same time as your website. Can I add the video and this whole thing to my other website? Yes. You can simply copy the html code and paste into your other website or landing page. Can I use this with a pay-per-click advertising campaign that targets sellers in my area? 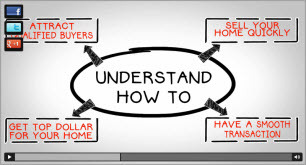 Yes, in fact this system would work perfectly for any seller oriented traffic generation campaign. Please consider using it with reAdMax. Do I need to do anything in order to use this? Just order the Smart Sites Platinum package to get this up and running. Then order the farming materials and start farming! Will my ad be displayed all of the time?